"Is June a popular month for weddings?" YES! 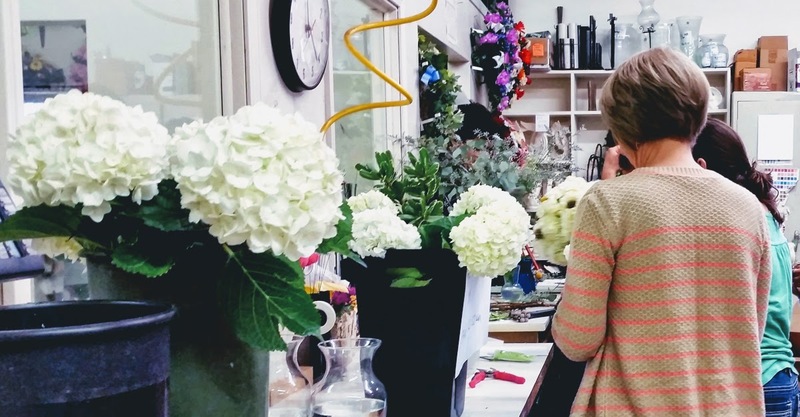 June is a prime wedding time for Gillespie Florists as the first weekend of June brought about our second round of an eight wedding weekend! 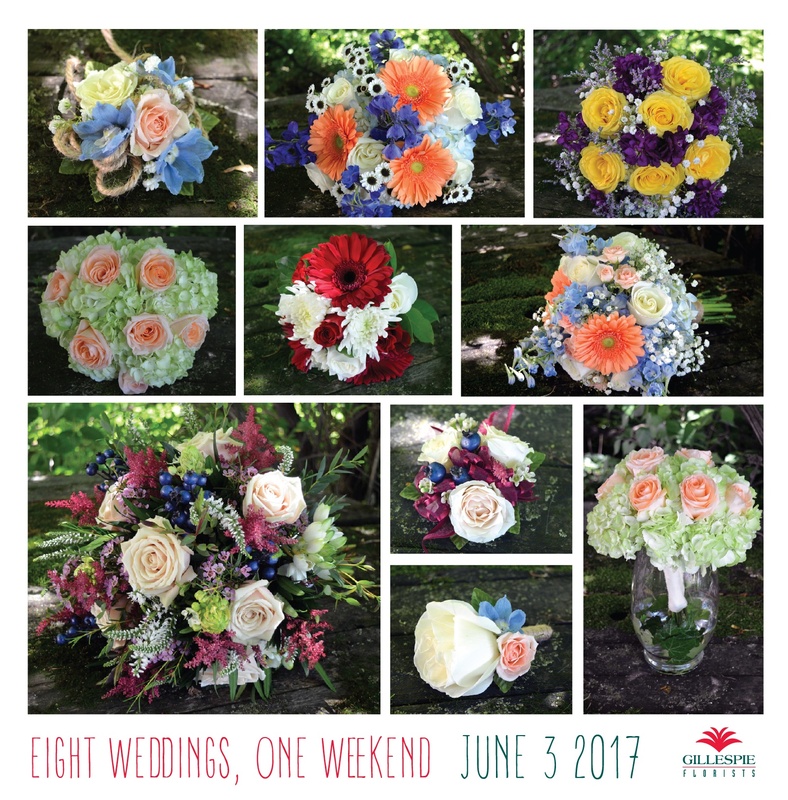 What else could we do but showcase some of the gorgeous bouquets which left our building and made June 2-3, 2017, marvelous wedding days. 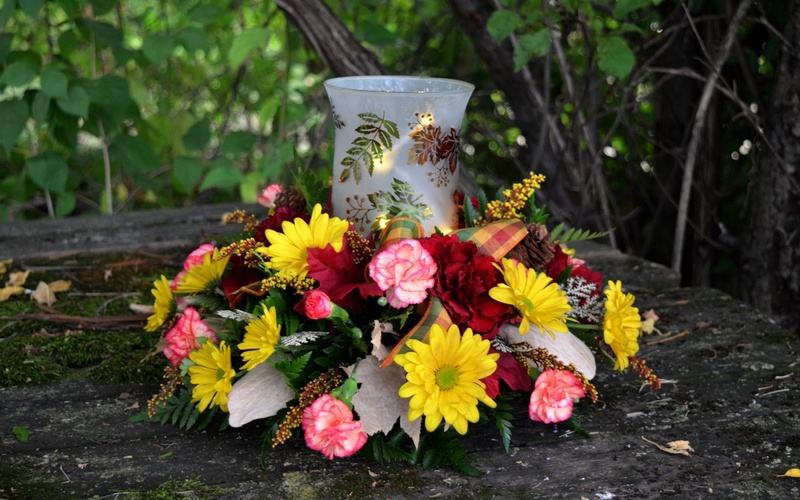 These bouquets and boutonnieres are boasting the beauty of seasonal favorites such as gerbera daisies, hydrangea as well as a favorite choice for every season, the classic rose. 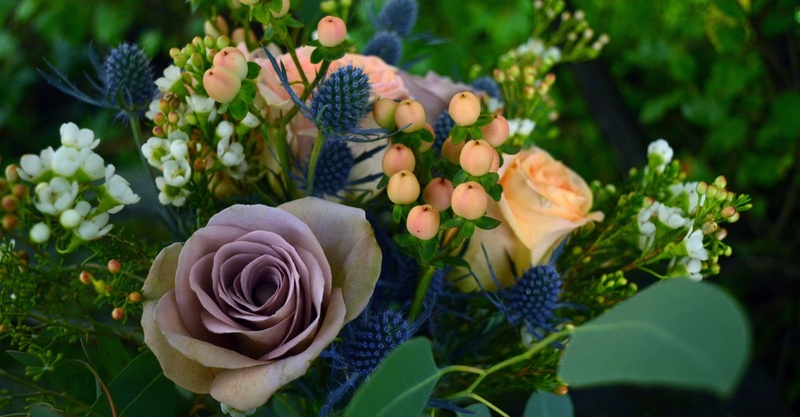 We have lovely accent florals creating fantastic texture and kicking up the color palettes a notch such as in the bouquet featuring colors pastel peach and blue. One of our brides selected delicate pastel blue delphinium which brought out the pop of peach gerberas and sweetheart roses for a sweet marriage of complementary colors. 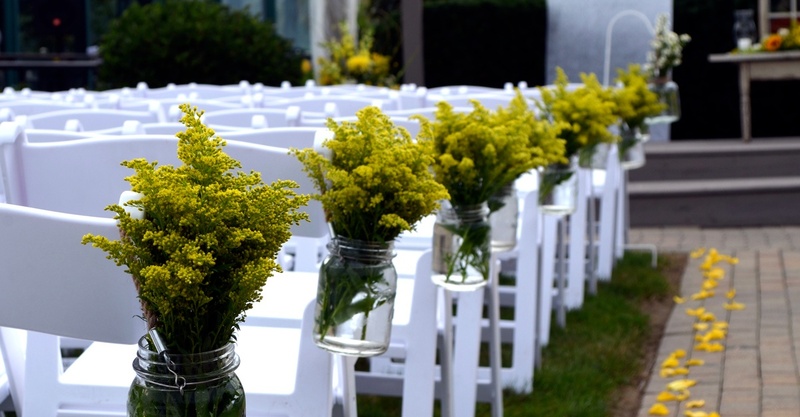 The design was tied together (pun intended) with twine and a dash of babies breath. 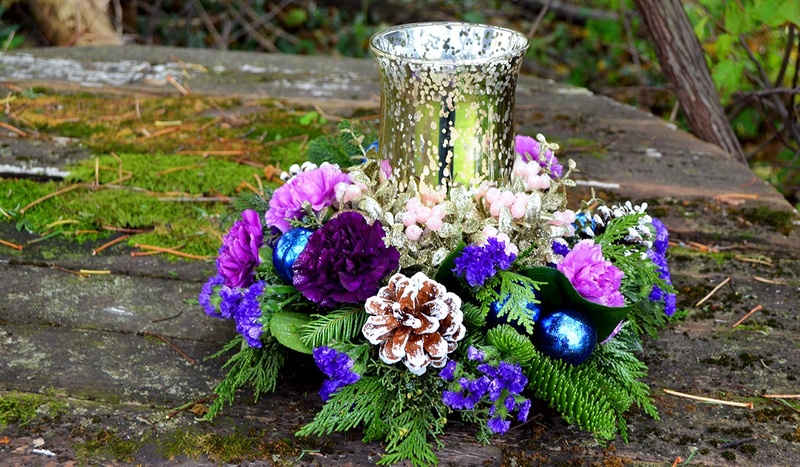 Another favorite for the weekend was the complex and eyecatching texture created through burgandy astilbe, stars of Bethlehem with dark centers, lavender waxflower, navy blue hypericum berries and italian ruskus. The fabulous movement was balanced out with the soft petals of blush sahara roses for a truly divine bridal bouquet pictured in the lower left of the collage. 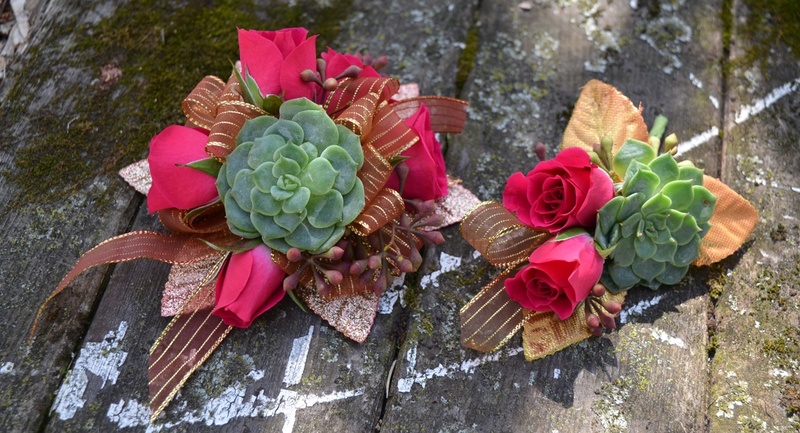 The mothers' wrist corsages reflected the splendor of the bridal bouquet with Star Blush spray roses, cream waxflower and burgandy sheer ribbon which coordinated perfectly with astilbe. 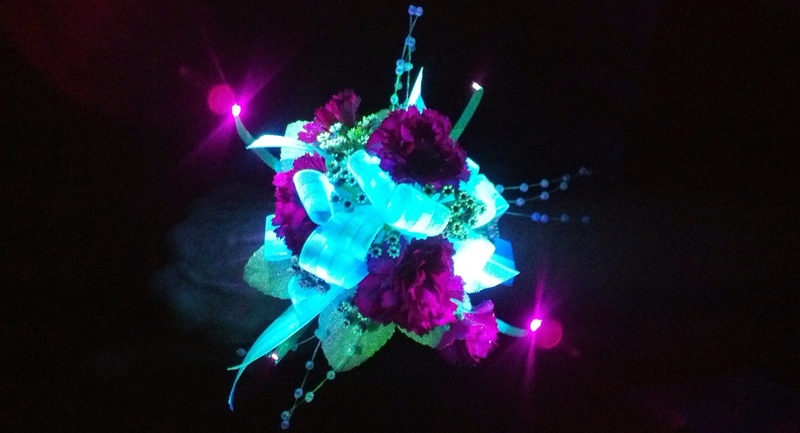 The beauty of bridal bouquets come in all forms! Let's not forget the bold match of rich reds and bright whites along with the simple and sophisticated combination of light green hydrangea and Tiffany roses. Tiffany roses are one of our bridal rose favorites for their pale peach petals which make them perfect for a variety of styles and themes. 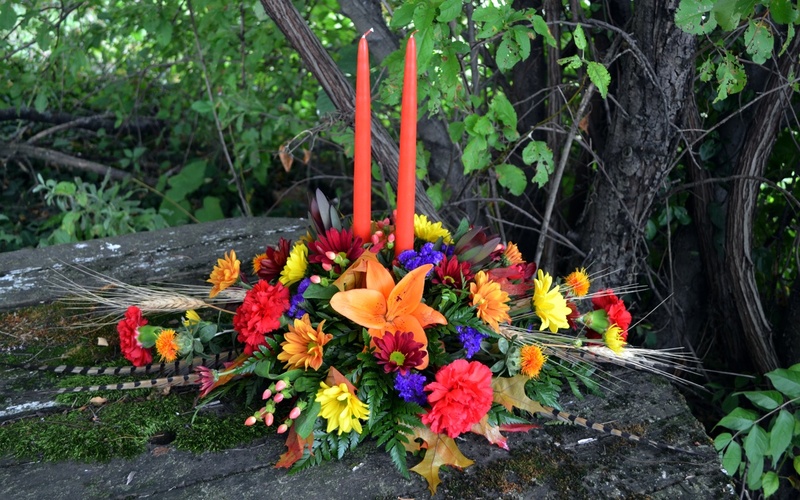 June is filled with joy for many reasons; from the comfortable warm weather to celebrations of love and marriage. We are proud to be take part in the season with the creation of gorgeous wedding florals to match any style and theme to make the newlywed couples' day a success and one to remember for years to come. 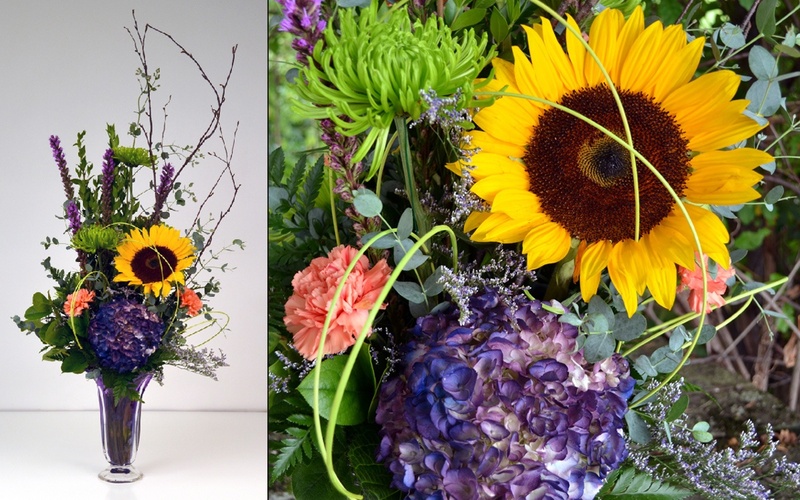 Looking for bouquet inspiration for your special day? View our extended wedding collection here! Click below to schedule a free consultation with our wedding specialist! 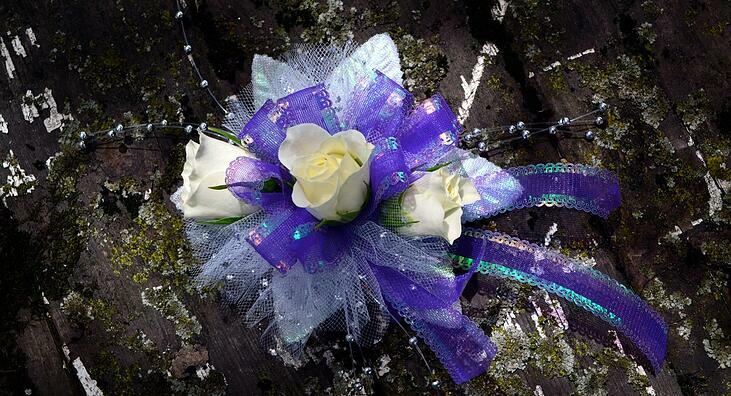 We started this contest in 2011 as a fun way to us to see the end result with our Prom flowers. 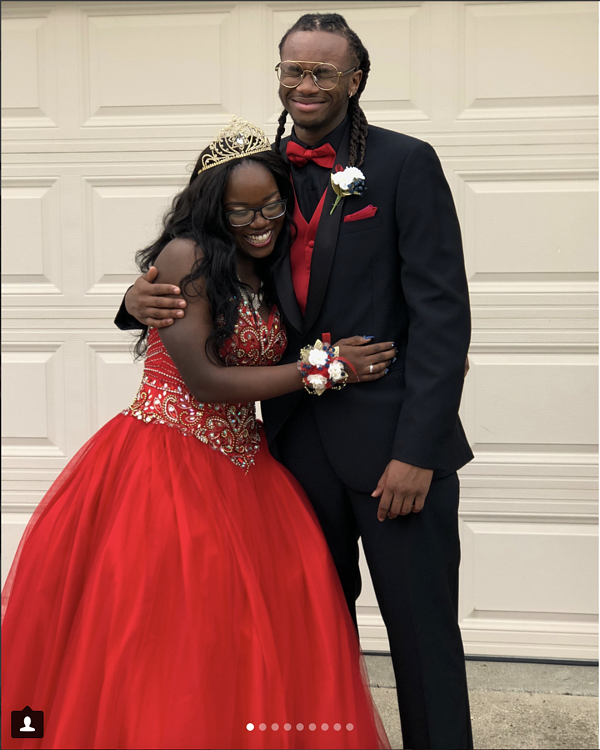 We enjoy making them so much and love seeing students pick up their flowers but hardly ever get to see these guys and gals all dolled up wearing said flowers! I didn't even know if anyone would bother with entering the contest! Honestly, every years as I print the fliers for this, I wonder if we'll get any contestants this year. But year after year, students surprise me with lots of entries and tons of support from friends and family! 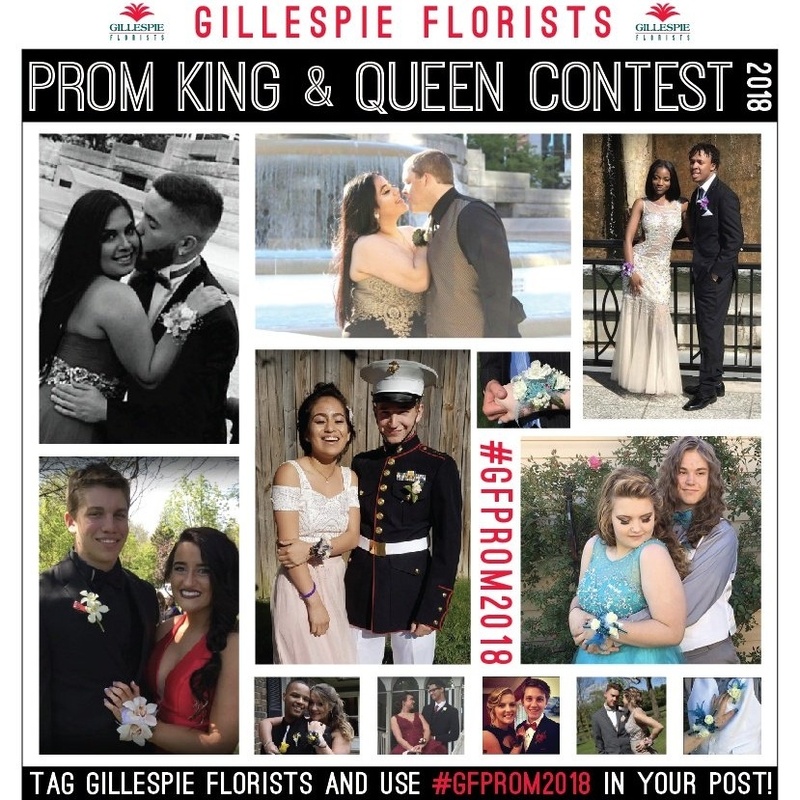 So, I want to thank our contestants from this year and from years past, for your support in Gillespie Florists by choosing us for your flower provider and for pleasantly surprising me each passing year with your participation! We had some serious competition this year! With more entrants than ever, it was exhilarating to see all the positive comments and "likes" from friends and family of contestants! 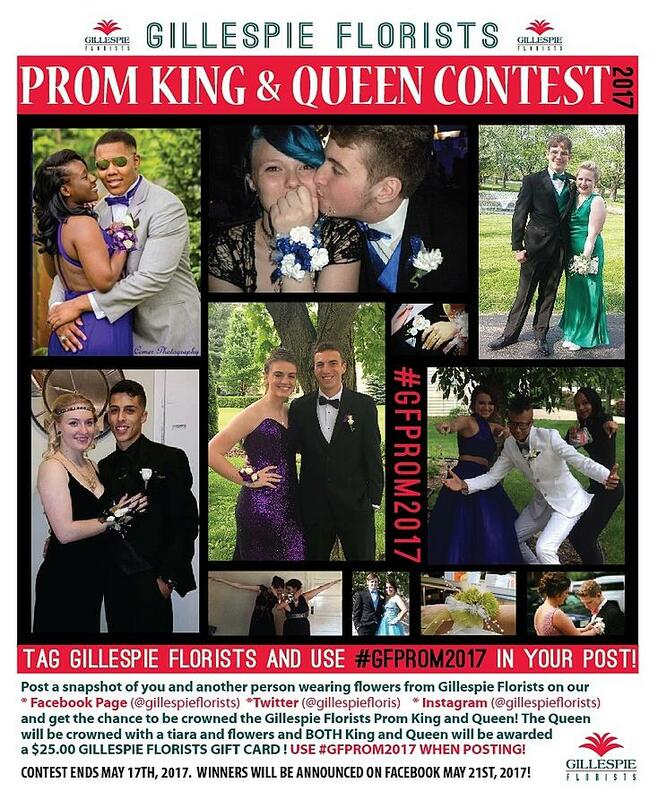 Prom goers only needed to post their picture on our Facebook Place Page or they could use #GFPROM2017 on Instagram or twitter wearing our flowers! We then asked our social media followers to "Like" their favorite picture or make a positive comment about it to determine the winner. We tally all likes and comments from the original post from the contestant as well as the picture we post in the King & Queen album. 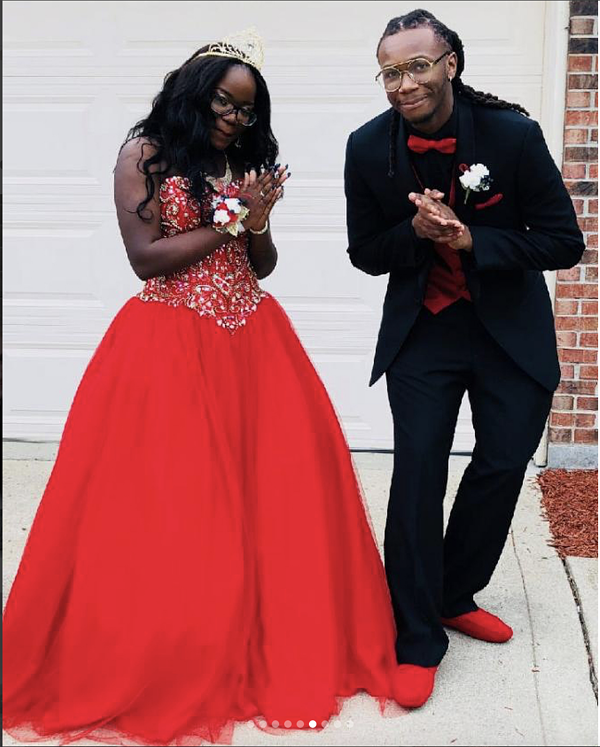 We had several prom goers enter but there can be only one winner! 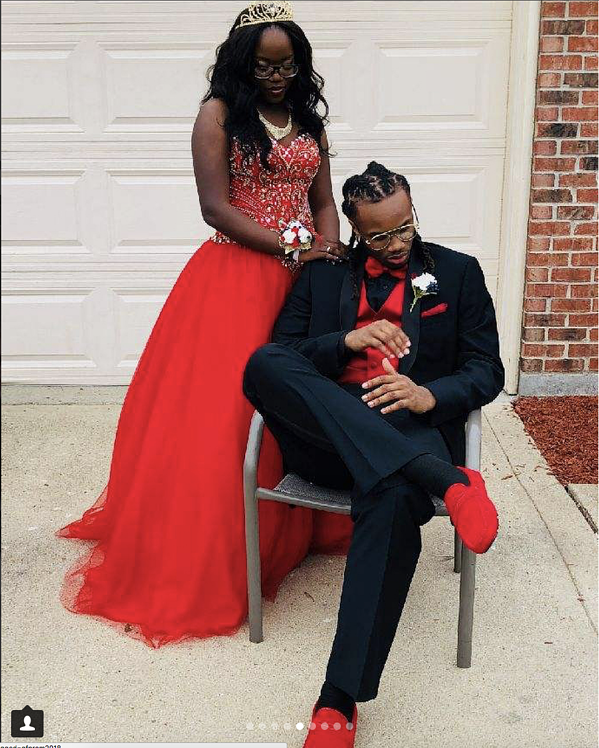 Olivia Carnagua‎ & Aaron Raymond won with a total of 227 likes/comments! 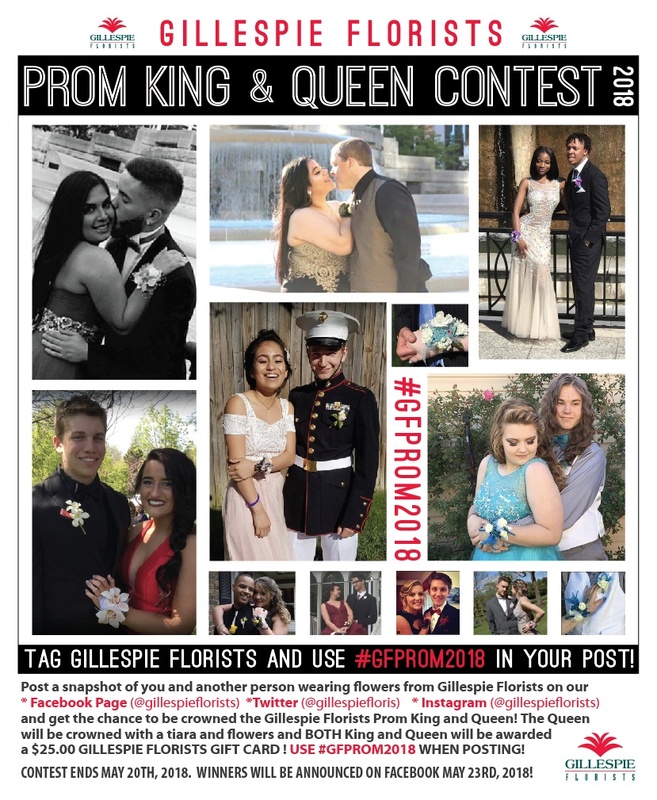 Olivia and Aaron each get a $25.00 gift card to Gillespie Florists and Olivia will be crowned with a tiara and flowers! 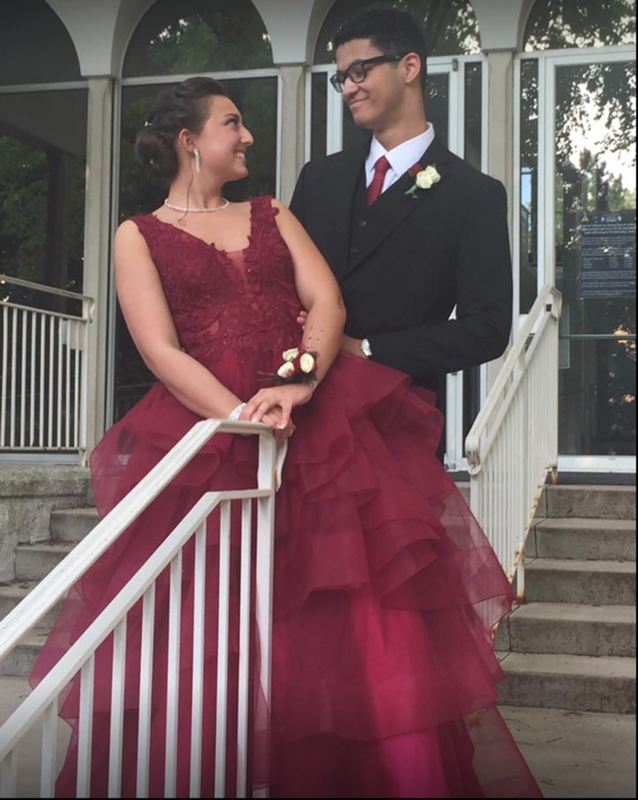 Olivia was wearing a three sweetheart rose wrist corsage in burgundy wine and black! Aaron was wearing a two sweetheart rose boutonniere! 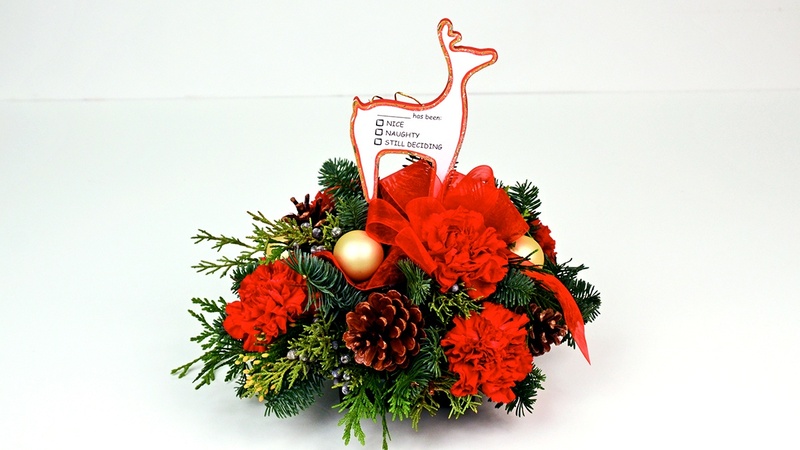 As a Thank you, Our Runners ups will receive a $10.00 gift card each and each girl will receive a Sunshine bouquet! 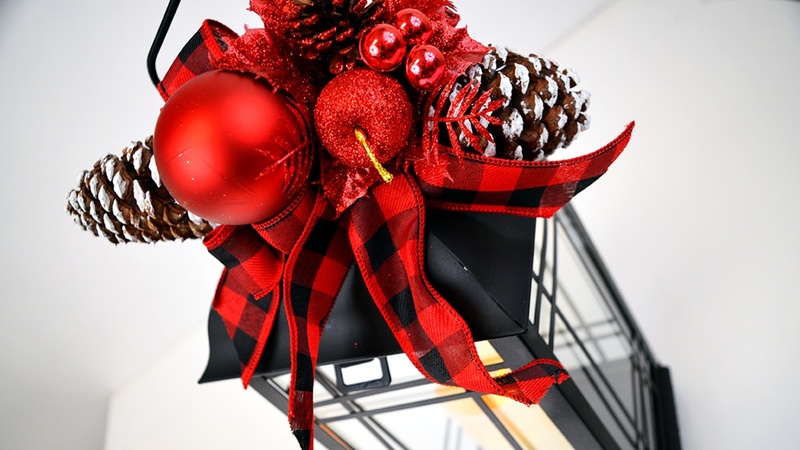 Just stop in the store, let us know you are a runner up! "Mother is a verb. It’s something you do. Not just who you are." Mother is definitely more than a title. It's an extremely active verb; so active I'm wondering why the calorie counting apps don't have "mom mode" as one of the cardio/strength training options. I'm certain I burned at least a hundred and twenty calories when putting the kids to bed last night...just enough to enjoy a glass of cabernet with some peace and quiet. Enough beating around the bush, we all know why moms are a hot topic. Mother's Day is almost here and some of us are still figuring out how to say "Mom, I get it now, I love you and here's something to express my appreciation for what you've done for me. I'll try to remember to celebrate you every day but most likely I'll forget sometimes. Hopefully this will cover some of those days." Fortunately, Gillespie Florists has quite a few top notch items with which to express some love and appreciation on Mother's Day or any day! Without further ado, here are our best sellers for day of the moms. 1. 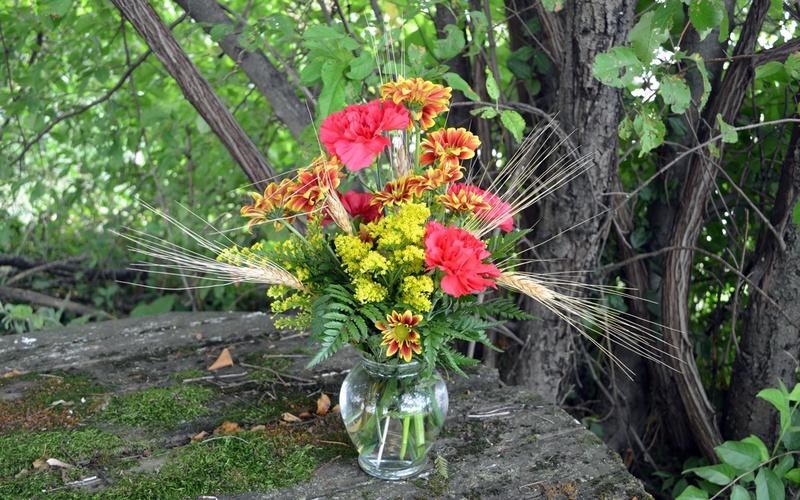 This Bouquet is absolutely Tea-licious! This isn't a play on words. The name of the bouquet is actually Tea-licious. Because what else comes to mind when you add it all together? Intricate painted teacup + matching saucer + floral bouquet = Tea-licious. 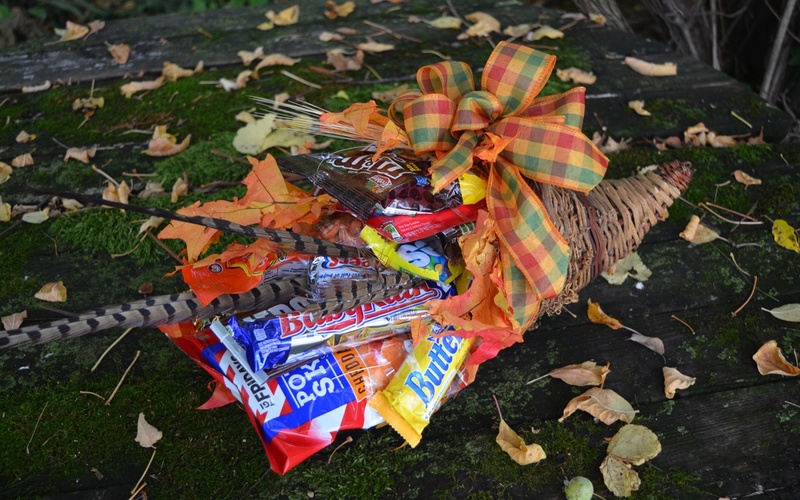 It's a lovely and winning combination of favorite things mothers love! 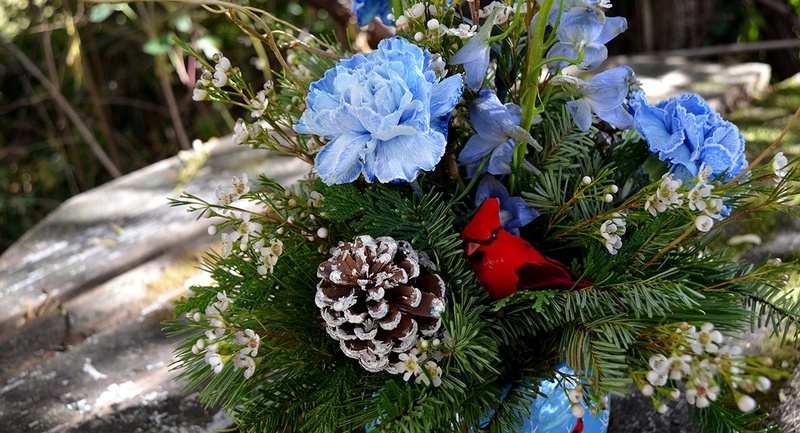 I admit to being more of a coffee drinker but this particular bouquet has me dreaming of daintily sipping on some Sanka while watching the birds on our patio. 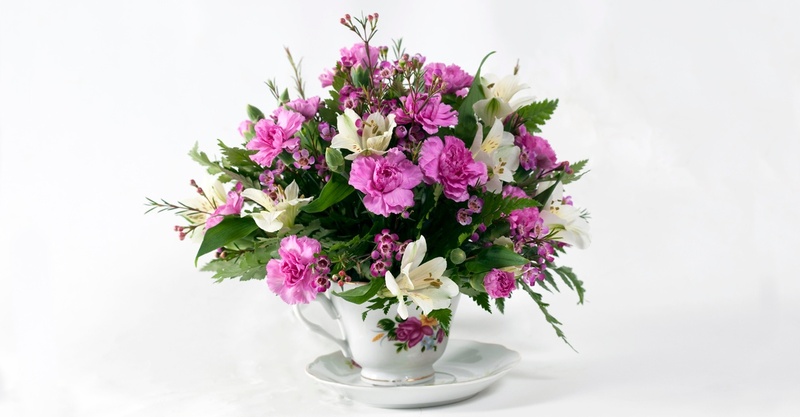 Gillespie Florists carries a variety of decorative teacups and of course, if mom's favorite color is blue/purple/green/pink you name it, the colors can be adjusted to fit to Mom's perfect cup of tea! Just imagine walking into your home/office/living space and smelling wonderful scents such as Apple Crisp, Green Tea and Lime, Jasmine, Botanical Garden, etc. Having a soothing fragrance in the air seems like a simple thing but actually does wonders for the psyche. The right fragrance can energize the morning,destress the day, add a little bit of extra joy, and help relax into sleep mode. 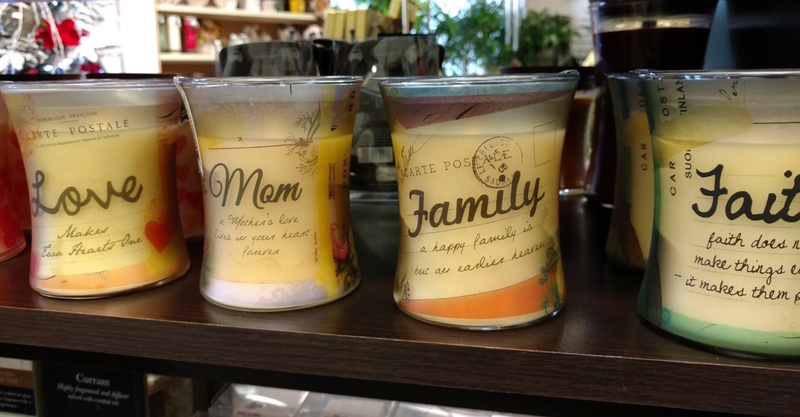 Plus if you get mom hooked on these small scented wonders they make great gifts for any occasion! 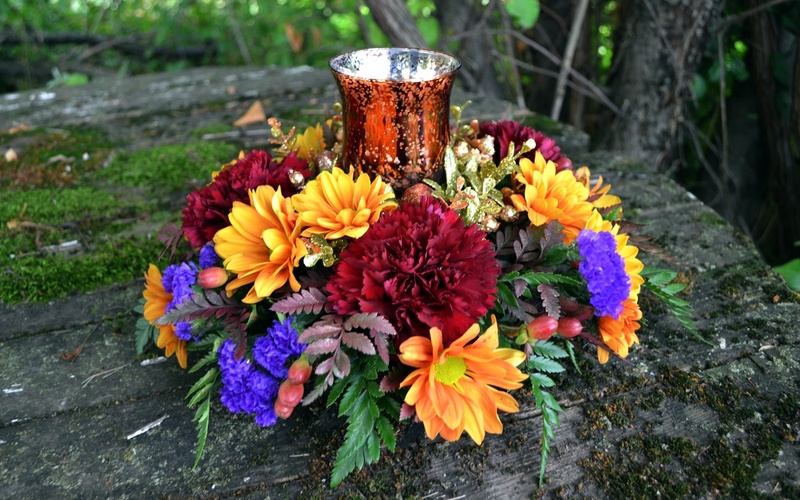 Whether you're a big fan of the classic cinnamon and spice or love trying out the newest combination creation Gillespie Florists carries the popular brands of Woodwick and Candleberry Co to satisfy everyone's favorite sense of scents! 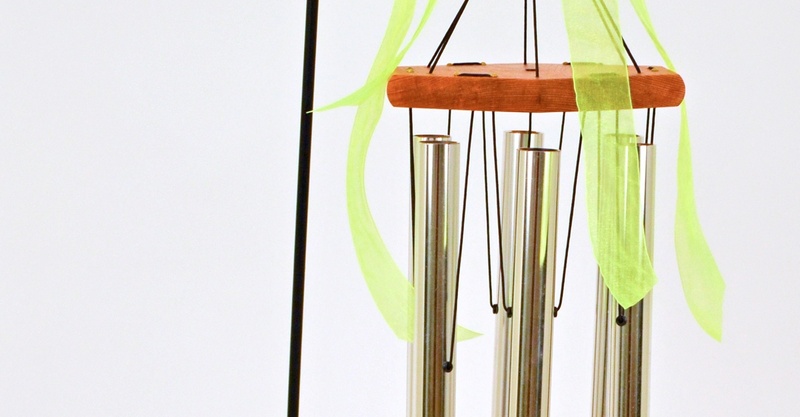 Windchimes are one of those gifts which keep on giving. The continuous melodius music they make is soothing to the ears and mind. It is very relaxing to listen to the music while winding down in the evening or chilling out on a lazy afternoon. The sound of windchimes reminds me of being on vacation. Why not get something which makes her feel like every day is a mini retreat? Fuchsia, geranium, petunias, begonias, and a plethera of mixed varieties of perennials in hanging baskets. During the spring we carry all sorts of herbs, pottend plants and blooming baskets to be enjoyed over the next few months. 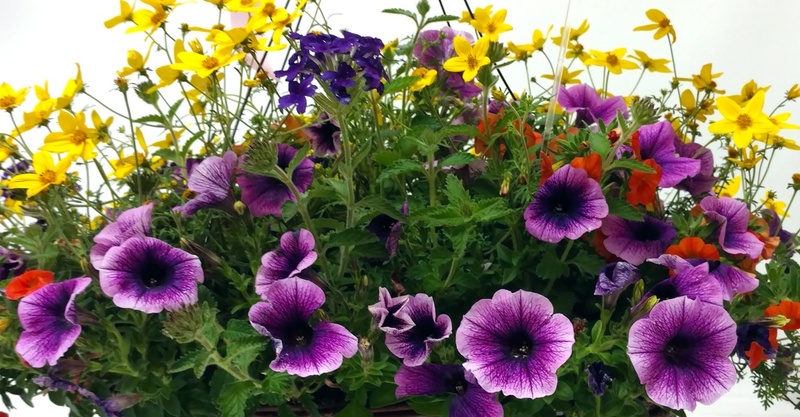 A simple way to add color without having to give up much space on the porch, patio or garden! 5. Herb Gardens in Awesome Keepsake Containers! Notice a trend in our Best Seller lineup? 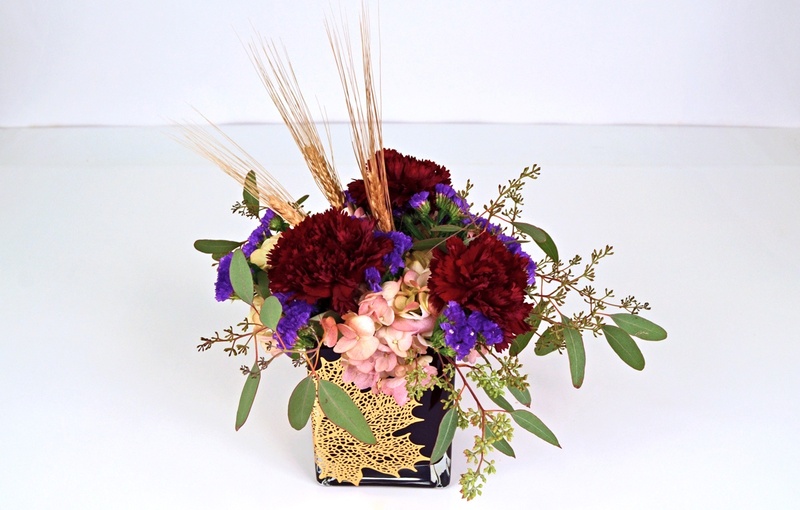 The Highland Herb Garden is continuing the trend of our Mother's Day favorites being comprised of gifts which keep giving long after the special day has passed! These gifts are close to the hearts of those who enjoy plants and having fresh herbs for their cuisine creations. Basil, thyme, sage and rosemary are among the top herbs we use in our little garden gifts. 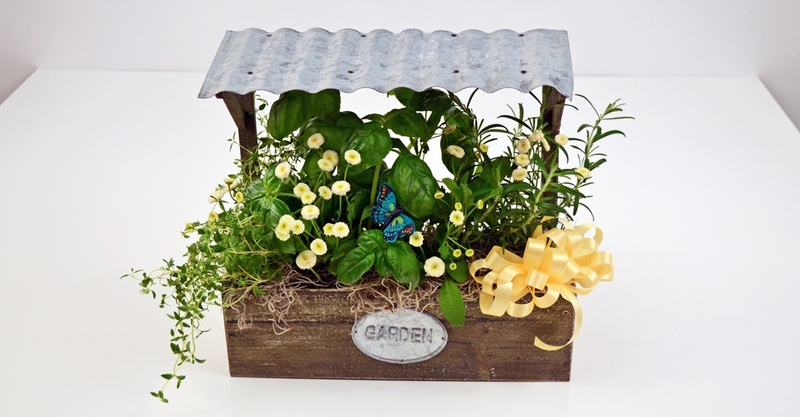 A decorative bow, butterfly and sweet button mums add flair and top off the look of our stylish rustic gardens. What gift list isn't complete without chocolate? I may be working on making healthier choices but I will never reject a delicious box of chocolates. 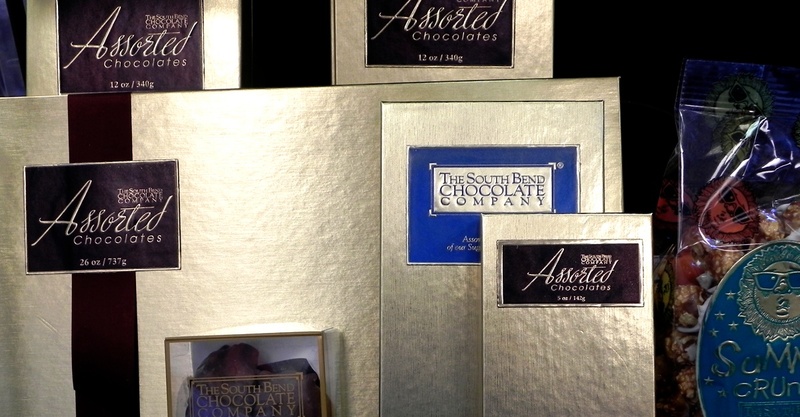 Gillespie Florists carries a variety of sizes and items from South Bend Chocolate Company therefore you send your herb garden and a few sweets too! It's a win-win! Congratulations, you've made it through our top notch Mother's Day gift lineup. 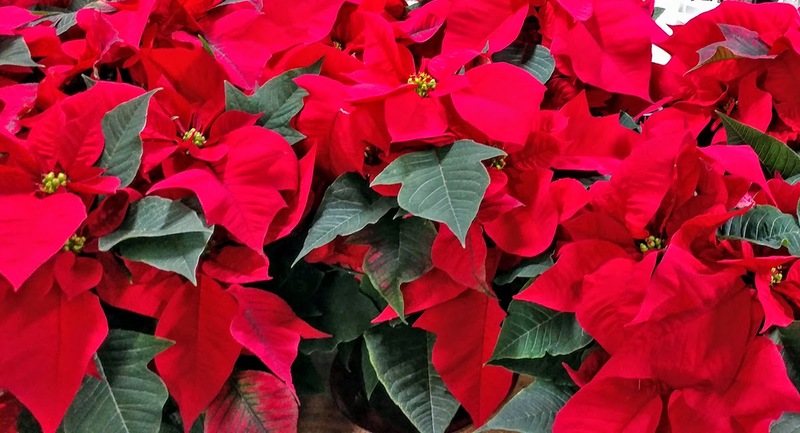 Best part of this list is you have great gift ideas for Mother's Day for the next few years or occasions Mom needs a gift or alittle something to brighten her day! Like the quote at the top, Mother is a verb therefore there's never a bad time to say "I Love You", "Thank you", "I appreciate You", etc.. Doesn't have to be a grand affair each time. Take care of the dishes/laundry/dinner for the day for her because even little things can speak volumes. 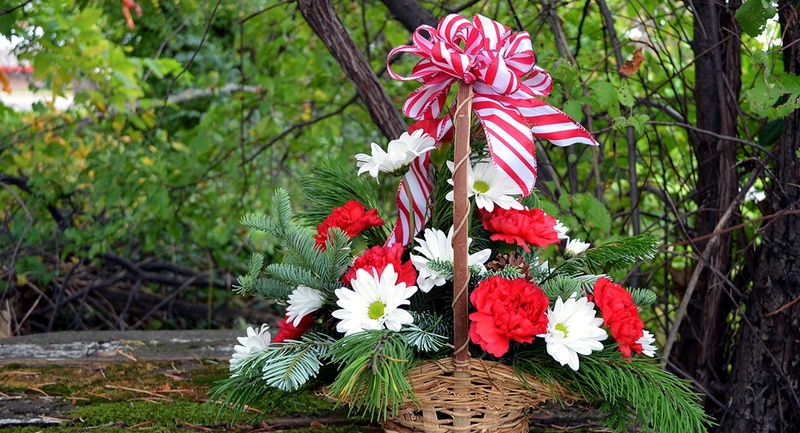 But also, so do flowers, herb gardens, windchimes...everything on this list. Moms (as in me) like these things too. So buy something on the list for them (me). Shop our entire Mother's Day Collection by clicking below! · Post it on our Wall or use #GFPROM2017 - make sure it’s a public post! Contest ends May 17th, 2017. Winners will be announced on Facebook May 21st!